KYXY’s Holiday Of Miracles Radiothon Brings In Over $227,000! 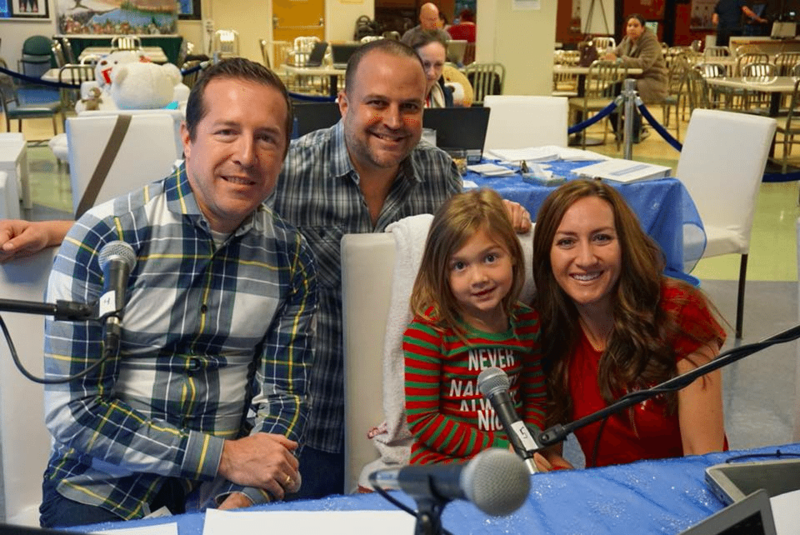 For 26 hours over the last two days, San Diego listeners of Entercom Communications’ KyXy 96.5 have heard stories of inspiration and hope from the patients and families of those treated at Rady Children’s Hospital. Due to those moving stories, the Holiday of Miracles radiothon raised $227,243! 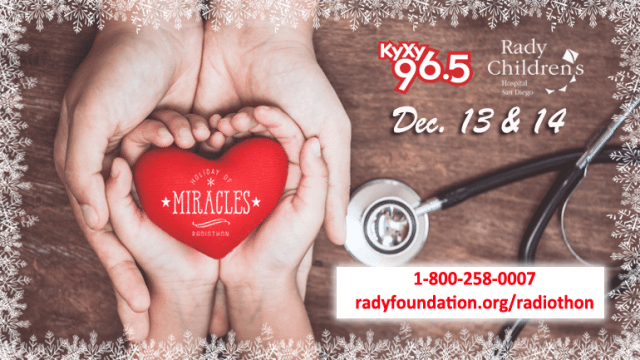 Holiday of Miracles would not be possible without the generous financial support of KyXy’s listeners and corporate sponsors like San Diego Honda Dealers, Applebee’s, Point Loma Credit Union, Harrah’s Resort Southern California and Cable, Pipe and Leak Detection. After eight years, the grand total raised by KyXy, their listeners and sponsors has grown to over $2,000,000. Funds raised will purchase life-saving medical equipment, provide vital health services and support programs for kids and infants at Rady Children’s Hospital. Every dollar raised by the radiothon stays right here in San Diego County to benefit children in our community.